Info about bats for young children. Find out a little about bats: What their name means, facts and information. Bat Theme, info, printouts, craft ideas. Printable and online activities, information and slide show. Hide and Seek Question: What are Bats? Letter ‘B’ printable page, link to facts and images, link to an online version of Stellaluna, bat coloring pages and bat crafts. 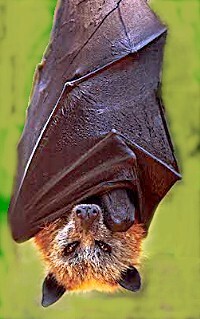 Bat crafts, activities, coloring pages, puzzle sheets. Written and illustrated directions for a different bat. Downloadable PDF. Watch and learn how to make an easy origami bat. Printable paper with lines and a bat boarder. Bat costume, bat felt toy, fuse bead pattern, Halloween moon, Halloween mobile and more. View of the exterior bat house. Washington Dept of Fish & Wildlife offers a cam that can be refreshed every 10 seconds and can be watched for 15 minutes at a time. If you have a bat resource you would like to share, please post it as a comment. Thank you!